Home Movies Videos [MOVIES] “Pixels” First Trailer Unveiled! [MOVIES] “Pixels” First Trailer Unveiled! 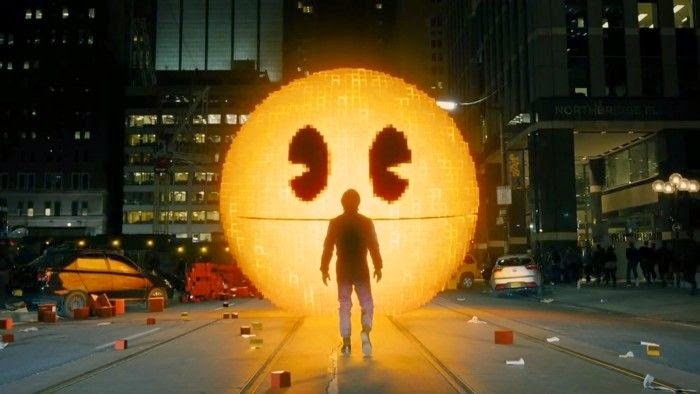 Feast your eyes on the first trailer of director Chris Columbus’ upcoming action adventure “Pixels” which boasts arcade game characters everyone will be familiar with including PAC-MAN, Donkey Kong, Centipede, Galaga, Frogger, Q*bert, and Space Invaders. Adam Sandler, Peter Dinklage, Michelle Monaghan, Josh Gad, Brian Cox and Kevin James all star in the film. In “Pixels,” when intergalactic aliens misinterpret video-feeds of classic arcade games as a declaration of war against them, they attack the Earth, using the games as models for their various assaults. President Will Cooper, has to call on his childhood best friend, ’80s video game champion Sam Brenner, now a home theater installer, to lead a team of old-school arcaders to defeat the aliens and save the planet. Joining them is Lt. Col. Violet Van Patten, a specialist supplying the arcaders with unique weapons to fight the aliens. The action adventure is directed by Chris Columbus from a story by Tim Herlihy and a screenplay by Tim Herlihy and Timothy Dowling, based on the original short film of the same name by Patrick Jean. The film is produced by Adam Sandler, Chris Columbus, Mark Radcliffe, and Allen Covert. Opening across the Philippines in August 26, 2015, “Pixels” is distributed by Columbia Pictures, local office of Sony Pictures Releasing International.